Sooner or later behaviorism will recognize the thermodynamic nature of animal behavior as the current gene-centric theory (random variability of gene encoded traits filtered by natural selection) makes less and less sense. But for now, albeit slowly, the terms of NDT (attraction—repulsion—alignment) are working their way into the discussion of collectivized behavior (not due to me of course, it’s simply becoming self-evident to researchers within the hard science disciplines who aren’t indoctrinated in consensus behaviorism). At the moment this understanding is only being grasped in complex collectivized behaviors, but it may soon become apparent that it is also serves as the architecture of the individual mind as well. In other words the physiological and “psychological” systems, i.e. the interplay between the body and the brain, is organized so that the animal feels as if it is an electromagnetically charged particle. This is the function of emotional affects. In an emotional experience one might feel electric like sensations, and one may feel magnetic like affects. Meanwhile in the mind, sensory input is arranged into form, configured into mental images, according to the parameters of a wave form, i.e. a current and an encompassing field. The animal then interacts with its surroundings and with other beings just as inanimate objects in flow and charged particles do, and in this way the behavior of organisms improves the movement of underlying physical flows of force, mass, and energy (a la Constructal Law); that not only are the source of life on earth but which also move according to principles of thermodynamics and electromagnetism. Put another way, the brain puts an electromagnetic charge onto the body, an object of mass, so that the mind will act as an electromagnetically charged particle of consciousness. In the seventies I began to question the gene-centric model as I became involved in German shepherd breeding. I noticed that every litter had a spectrum of traits, and that this couldn’t be the result of random genetic distribution. Furthermore the best breeders in the world, German fanciers, couldn’t improve the working capacity of their stock beyond the one out of ten ratio. For every bold hard hitting dog, there were nine other far less hard hitting if not shy dogs. By selecting for boldness, one was also inadvertently selecting for the rest of the gradient trending toward shyness as well. Therefore there was another agency of distribution, what I called Temperament, so that every litter was like a compass face populated with the necessary cardinal points properly arranged so as to comprise the whole spectrum. This template also could explain the various breed traits in general, i.e. why in fact there can be breeds with a specific set of traits, this breed diversity being a macroscopic manifestation that telescopes out of the microscopic manifestation of litter diversification. Such a template accounts for how a wolf pack encircles a large, dangerous prey as their collective style of hunting. They have successfully recapitulated the underlying template that informs their every action and which constituted their particular personality. Canine social structure was clearly self-organizing from the bottom up, not hierarchal from the top down. 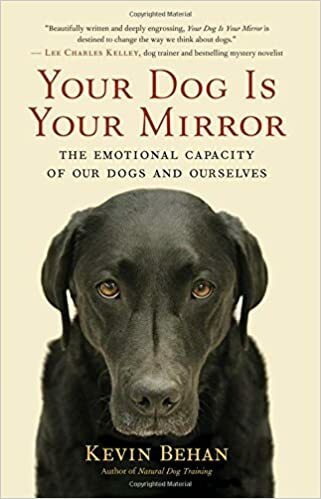 Finally I found that this same pattern of diversification (emotional polarization) playing out whenever two or more dogs lived together so that their traits and personalities became equal/opposite expressions of each other. If one dog was at the north pole, a “locker-upperer,” his counterpart could be found at the south pole, a “belly-upperer.” This pattern of differentiation has been misinterpreted as dominance and submission, but the tell-tale contradiction could be found in some other context wherein their roles were reversed. 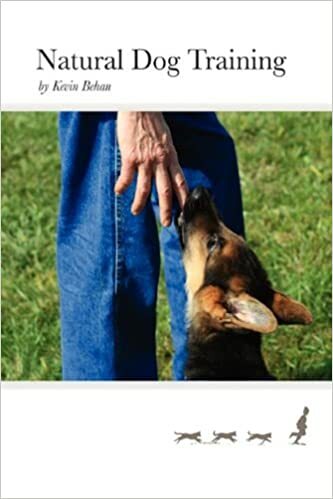 Not only did this contradict the dominance model, but the theory of dogs learning by reinforcements as well. Today behaviorism is scrambling to accommodate this social plasticity with the notion of resource management, but it is still stuck with the dominance/submissive terminology, the tell tale indication that it doesn’t yet grasp the nature of self-organizing feedback systems. Everything dogs learned occurred within the template of Temperament. Nothing was at random because it is axiomatic that each and every organism must fit within nature as a whole, and it emotionally polarizes in order to accommodate its neighbors. When you read the above article, think of the actions of wolves radiating across the landscape as their “sheet” of connective tissue (or perhaps you might prefer the term “field of energy”) that they create through their collectivized movements. Temperament is a template, a circle. A circle is a cycle, a circuit. It replenishes itself by saturating a medium with a current and recapitulating the field and this allows the affiliated organisms to tap into the life giving energies of the physical world.